In the spring my mom gave me seeds she got from a farmer in Lancaster PA. She did not know they were hyacinth vine seeds. The seed envelope was titled beautiful pink flowers. 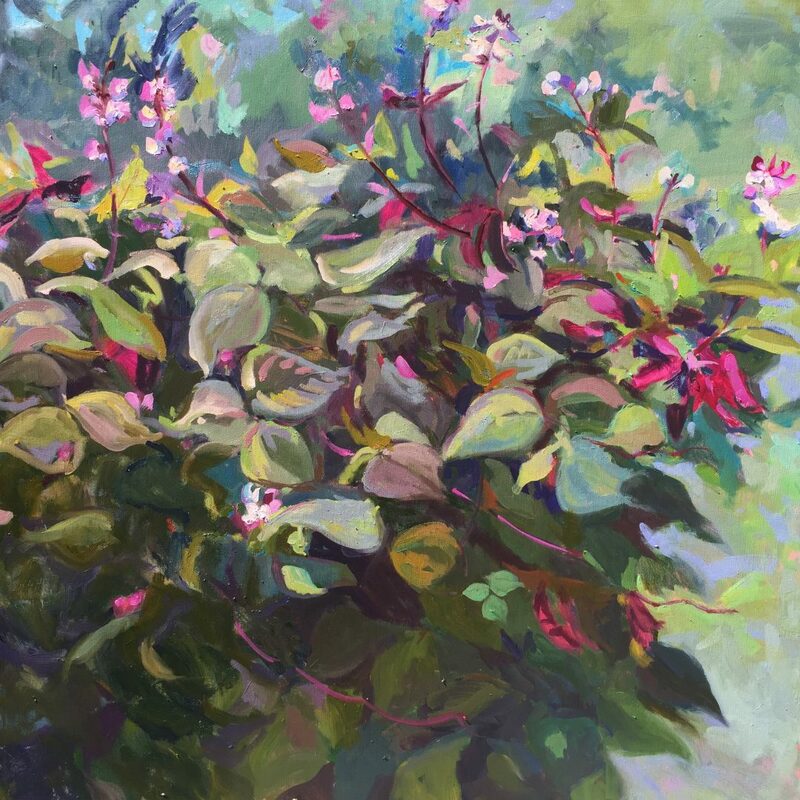 The plants were gorgeous all summer, and the inspiration for this painting. Painting this was challenging for me because of the chaos qualities of the vine, and the challenge keeping colors fresh with reddish tones of the green leaves. Overall I like the abstract qualities of this painting while still identifying with the delicateness of the small pink and white flowers. Painted on a 1.5″ stretcher bars, and framed in a natural floater frame, with black inside edges to create the illusion of floating.